Home CricketCSK Vs KKR: Who Will Win the Match Today? 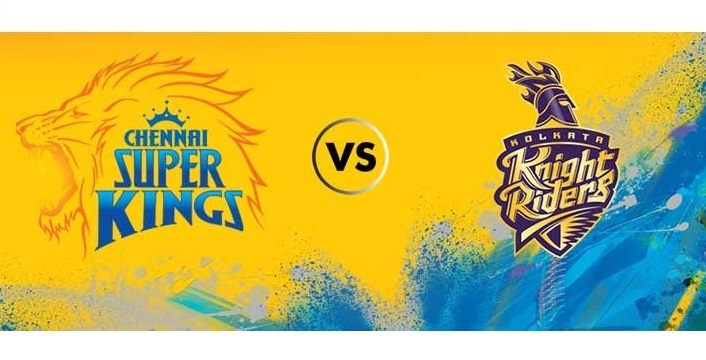 CSK Vs KKR: Who Will Win the Match Today? The fifth and the most hyped match of the IPL series 2018 is set to be played today and the match will be played at the MA Chidambaram Stadium in Chennai. For CSK it is homecoming and will KKR spoil the retreat of the rival team? Well, it is difficult to predict the wins of IPL, as you never know when the game changes itself. Fingers crossed for both the teams today. Both the teams have shown quite a good sportsmanship in the previous matches. CSK marked its first win in Wankhede against Mumbai Indians and Kolkata Knight Riders could beat Royal Challengers Bangalore in Eden Gardens. In the both of the matches, there were heroic figures that could make the win possible for the two teams. On one hand, CSK has Dwayne Bravo and on the other hand, KKR is backed by the excellent batting skill of Sunil Narine. Even with the best of the players, it is still time when Chennai Super Kings will win over the hearts of all the IPL fans in the world. Their spinner Imran Tahir needs to find his groove as soon as possible as a tough pitch is waiting for him ahead. On the other hand, Kolkata Knight Riders were very comfortable in their win over Royal Challengers. The team discovered their wickets takers in the faces of Vinay Kumar and Nitish Rana. The team can improve on his bowling more while they have Kuldeep Yadav, Mitchell Johnson and Sunil Narine as the top players. On the batting end, CSK seems to be struggling while KKR is in a comfortable position. Both the teams are in full form after winning their respective opening matches and this match will show who the best among them is. For now, KKR seems a strong team. As of now, there can be no further predictions on who will win the match. CSK is a little more confident as they will be playing in front of their home crowd. We wish best of luck to both the teams. Be the first to comment on "CSK Vs KKR: Who Will Win the Match Today?"